Today's Activities:Airport station pick-up can be arranged at extra expense. After check-in, you have free time to relax. After breakfast visit the massive Tian'anmen Square, then see the Forbidden City with its elegant palaces, pavilions and landscaped gardens, once open only to nobility. This afternoon tour the Temple of Heaven where the Oriental emperors worship the heaven. An optional excursion takes you by rickshaw around Hutongs – narrow alleyways. Our local guide can help you plan your evening activities. You can watch some Kungfu or Peking Opera shows, or feast a roast duck dinner at famed Quanjude Restaurant, or enjoy nightlife at pubs and bars at Houhai or Gongti area. Today, ride to the legendary Great Wall of China and stand on its famous ramparts. A local lunch is included, along with a visit to a jade factory. Then tour the valley of the Ming Tombs and Chang Tomb which was the first of the tombs. Drop off at Beijing Olympic Park on the way back to downtown. 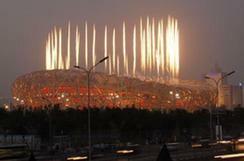 If time permits you can buy entrance tickets on-spot to go inside the stadiums of Bird’s Nest and Water Cube. Fly to Xian, China's legendary home of the Tang Dynasty from 618 to 907 A.D. Walk on the Ancient City Wall of Xi'an or try biking on the wall with cost of CNY20/per hour, you will have an enjoyable and interesting experience. Tonight, an optional program is to experience the glory of this era at a banquet with traditional song and dance. 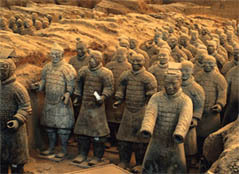 Today, tour Xi'an's archaeological wonder: 8,000 life-sized Terracotta Warriors buried with Emperor Qin Shi Huang, each soldier and horse molded in incredible detail. This afternoon, tour the majestic 7-story Big Wild Goose Pagoda. Today's tour includes visit to a souvenir shop or factory. Fly to Shanghai, China's most modern metropolis. Tour Old Shanghai and the riverfront Bund district lined with banks and customs houses. 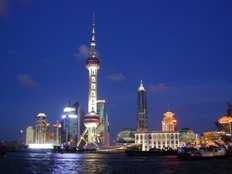 Optional program is cruising on the Huangpu River to see the enchanting night view of Shanghai. View the Jade Buddha Temple. Continue to Yuyuan Garden, a 16th century Ming period private garden/residence in the heart of Shanghai's old Chinese quarter. Along is the local bazaar around City God Temple. A visit to carpet or tea shop is included today. Tonight you can take an optional acrobatics show or enjoy night life at Xintiandi or Hengshan Road. All sightseeing services finish and free time rest of the day. After breakfast, check-out of your hotel before 12:00 and depart on your own. Optional airport transfer can be arranged at extra expense. Get in touch with three most popular and important cities to see real China.